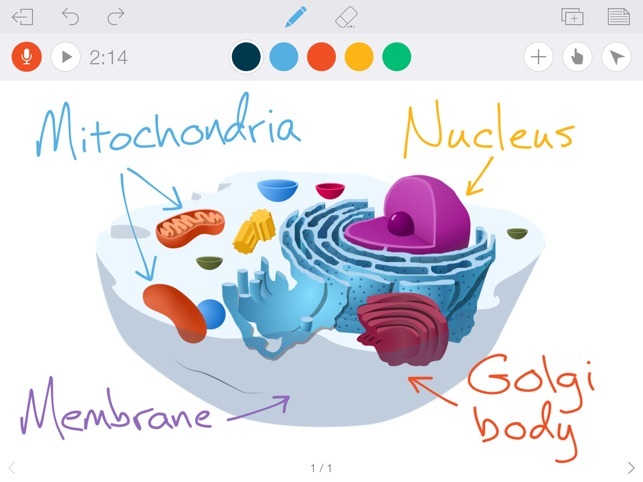 Educreations is a unique interactive whiteboard and screencasting tool that's simple, powerful, and fun to use. 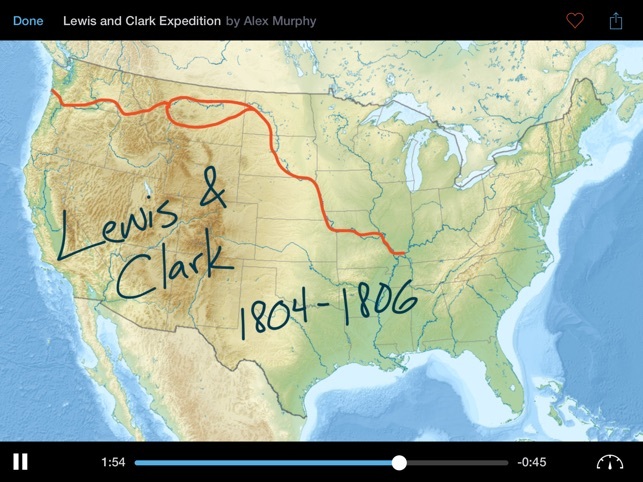 Annotate, animate, and narrate nearly any type of content as you explain any concept. Teachers can create short instructional videos and share them instantly with students, or ask students to show what they know and help friends learn something new. Finished lessons are stored securely in your online Educreations account, so they're available whenever and wherever you need them. You control who sees what. Even if something happens to your iPad, all of your videos are safe. Create classes that students can join right within the app. Lessons sync automatically between teacher and student iPads, so it's easy for students to access teacher instruction and for teachers to monitor student work. 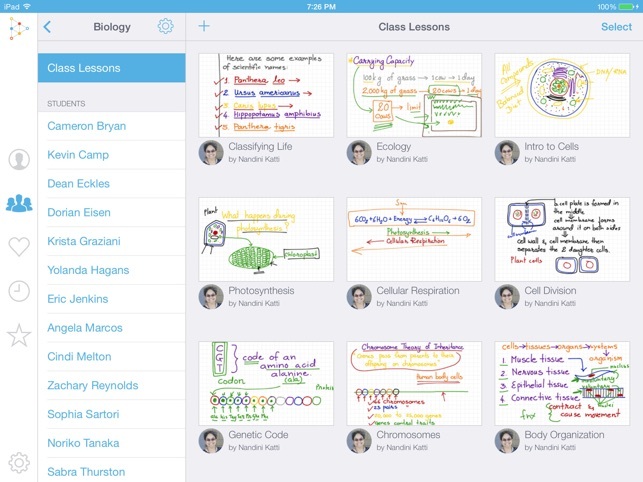 Students without iPads can access classes and lessons on the Educreations website. Lessons can also be shared via link, email, Messages, Facebook, Twitter, or by embedding them on your blog or website. Upgrade to Pro to export your videos to the Camera Roll, open them in other apps, and use them in other video projects. These prices are for United States customers. Pricing in other countries may vary and actual charges may be converted to your local currency depending on your country of residence. If you purchase a monthly plan, your Educreations Pro subscription will automatically renew at the end of each period unless auto-renew is turned off at least 24 hours before the end of the current period. Your iTunes account will be charged for renewal within 24 hours prior to the end of the current period. You can turn off auto-renew at any time from your iTunes account settings, but refunds will not be provided for the unused portion of the current period. Yearly plans do not auto-renew. If you have any questions, comments, or feedback, we’d love to hear from you. Overall, I really love this app. I use it a lot and depend on it a lot for my instruction. That being said, I have the pro edition, and I have a lot of videos, but it is a struggle to find the video I am looking for...I wish this had a way to have folders for units or chapters or topics. With pro, you can make different classes, but if you have a lot of videos for the same class, it isn’t really that helpful. You still have to sort through dozens of videos to find what you want. I’ve been using this app for about four years, and they have made some great improvements and I really do like it. The pro version is also great because you can convert to an mp4 then save it outside of the app, which is great to make available to students to without relying on internet links (save on google drive, etc). I’d go with the free version unless you intend on making more than a couple dozen videos and keeping them. (I don’t think you can convert to mp4 on the free version, but save on the app and provide an internet link to students) It would also be nice if they had a site license for multiple teachers to be able to use at the same school. Right now my math team at my high school is switching to a flipped classroom this semester & we could not have done it without Educations! One of our teachers uses her account to make the short videos for students to watch at home while I use my account to make longer videos covering all the unit's notes for students that miss a good deal of class time due to illness, home life, travel, etc. The students love it and the students that miss class really appreciate the makeup videos. would highly suggest! And if you can, would also suggest getting a grant for your team to have a shared paid account as we plan to do next semester! 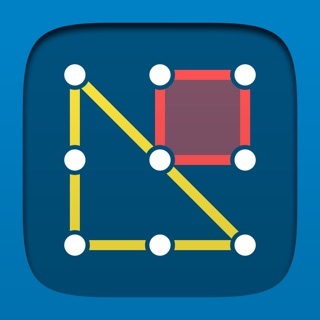 The reason I’m giving this app four stars is because it is so easy to use that you can start using it right away. However, the biggest limitation is that there is no editing capability. 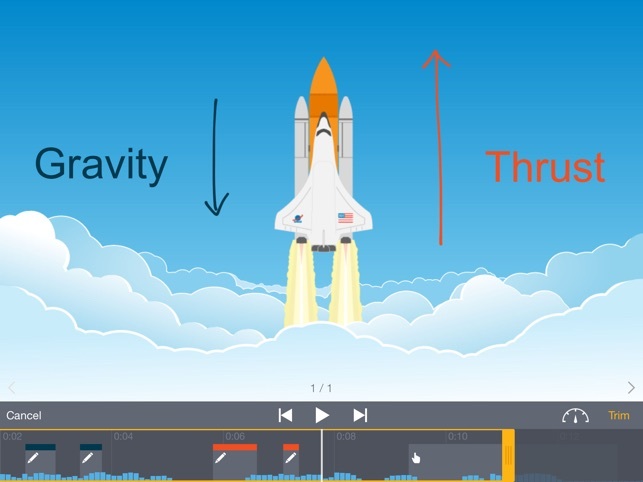 This is OK with me because my experience with audio editing is that it is very difficult to get right so as a newbie I’m happy with my experience with educreations after using it for only a couple of weeks. Requires iOS 9.0 or later. Compatible with iPad.